The XXIII International Symposium on Medicinal Chemistry (EFMC-ISMC 2014) will be organised by the Group of Medicinal Chemistry of the Portuguese Chemical Society (SPQ) on behalf of the European Federation for Medicinal Chemistry (EFMC). The symposium will take place at the Lisbon Congress Center from September 7-11, 2014. The biennial “EFMC International Symposium on Medicinal Chemistry” (EFMC-ISMC) is a key Symposium in its field and attracts traditionally between 1200 and 1400 participants, from industry and academia. Recent EFMC-ISMC meetings have been organised in different countries including Denmark (Copenhagen/Malmö, 2004), Turkey (Istanbul, 2006), Austria (Vienna, 2008), Belgium (Brussels, 2010) and the most recent one in Germany (Berlin, 2012). The 2014 edition will continue the tradition established by these biennial symposia and will cover drug discovery advances in the major therapeutic areas, including neglected diseases, CNS disorders, inflammation, metabolic disorders, and oncology. EFMC-ISMC 2014 will present the most recent advances in lead identification and optimization strategies, drug design and profiling technologies, and illustrate the impact of biomarkers and imaging at the interfaces between chemistry, biology and experimental medicine. Particular emphasis will be put on first time disclosures, recent highlights in medicinal chemistry, and organic synthesis which had a strong impact on medicinal chemistry. This symposium is recognised worldwide as one of the leading Medicinal Chemistry meetings, as proven by its large international attendance. 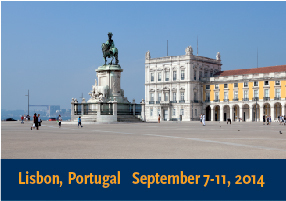 In connection with the EFMC-ISMC, EFMC has taken the initiative to organise the first EFMC Young Medicinal Chemist Symposium, EFMC-YMCS 2014, which will take place on Friday September 12 at the Faculty of Pharmacy of the University of Lisbon.